If you're like me, and have a lot of stress in your life, you know that keeping everything organized helps lower stress levels, gives you a clearer mind, and increases your productivity level throughout the day. 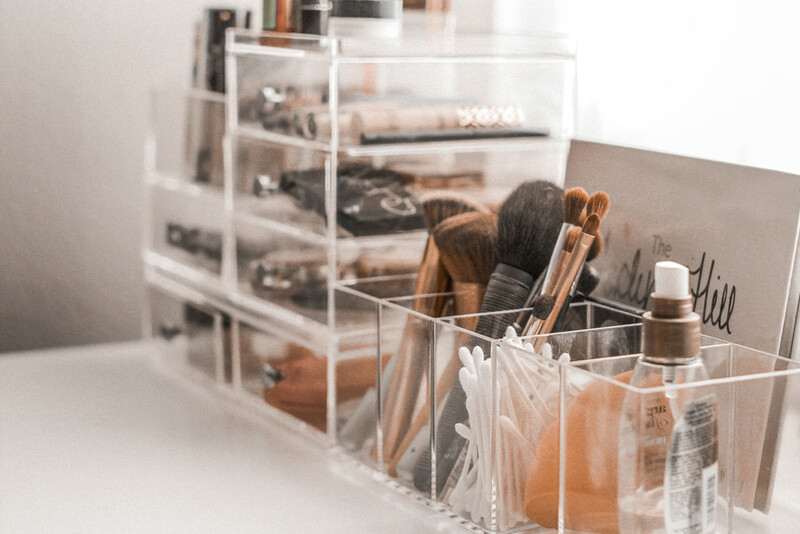 One of the biggest areas causing me stress was my unorganized makeup collection. I love makeup! 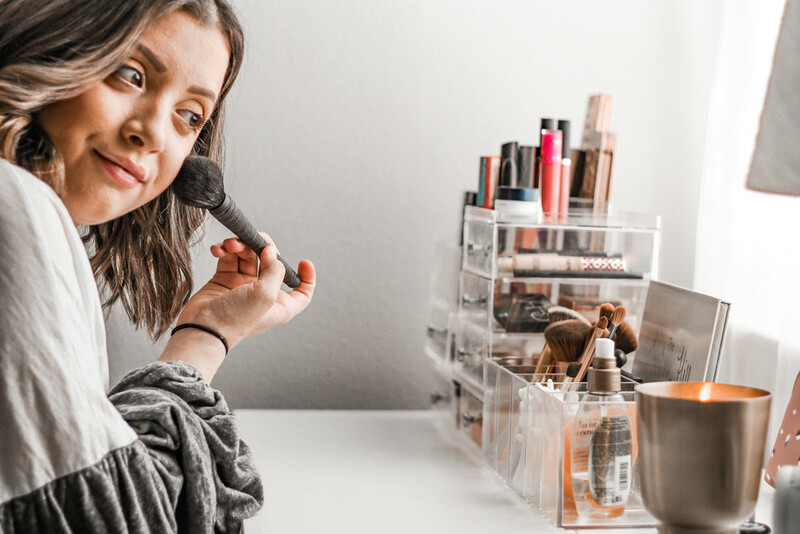 My collection consists of dozens of products, but isn't nearly as big as those YouTube Makeup Gurus who have an entire room dedicated to their massive collection. 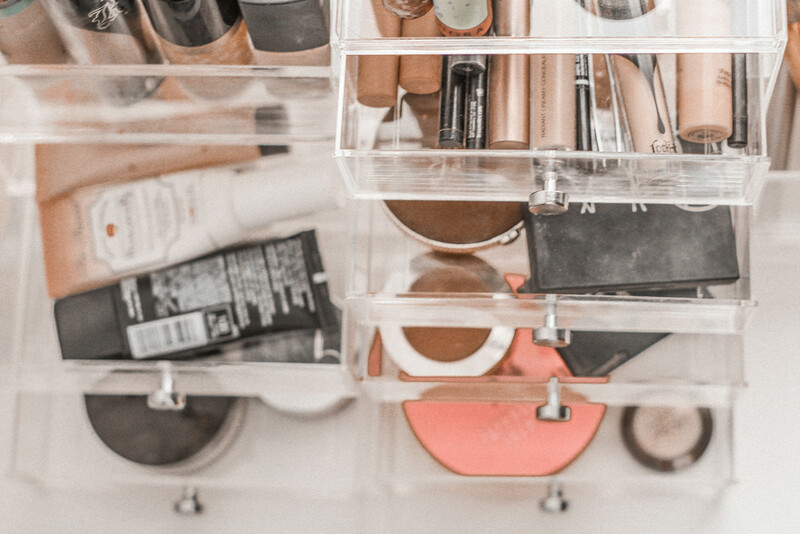 My makeup collection was previously scattered throughout my bathroom drawers, and it took me forever to find things! Eventually, I started sorting and storing essentials in different makeup bags - brushes in one and products in the other. But it wasn't long before the bags got messy, and I felt like I was back at square one. Finally, it was The Container Store to the rescue. 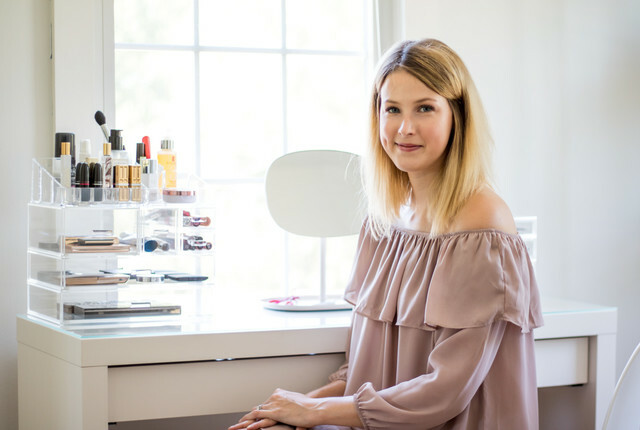 Check out my new ultimate vanity area! I don't have much counter space in my bathroom, so I resorted to making my desk in my guest room my makeup station. 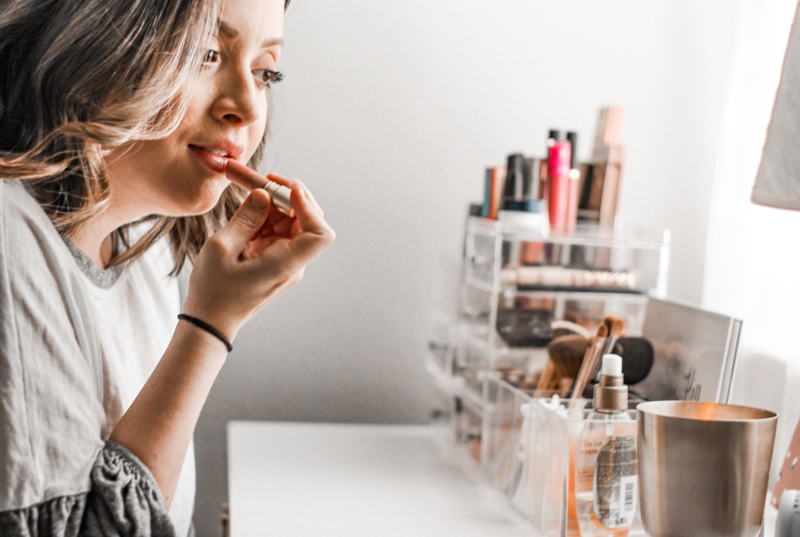 Believe it or not, this has saved me SO much time getting ready, and now I actually enjoy sitting down to do my makeup in the morning. 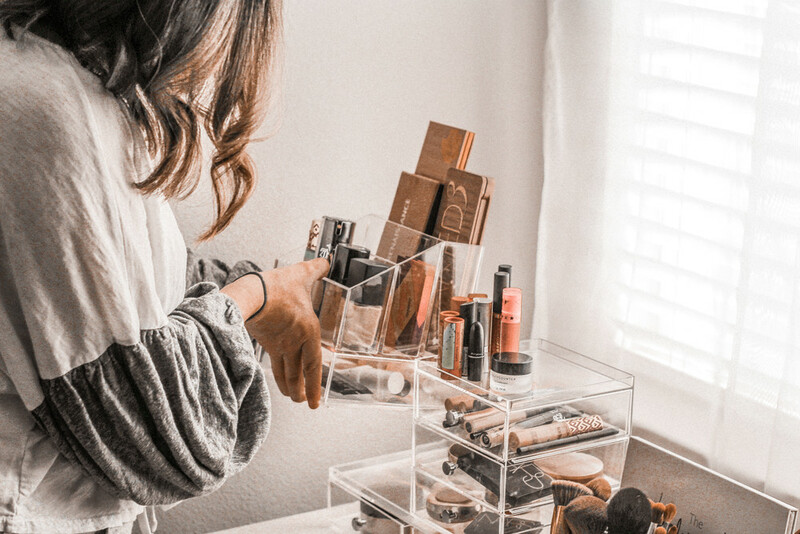 The Clarity Makeup Organizers stack to save space, and they're modular so you can create a customized solution for any size collection. 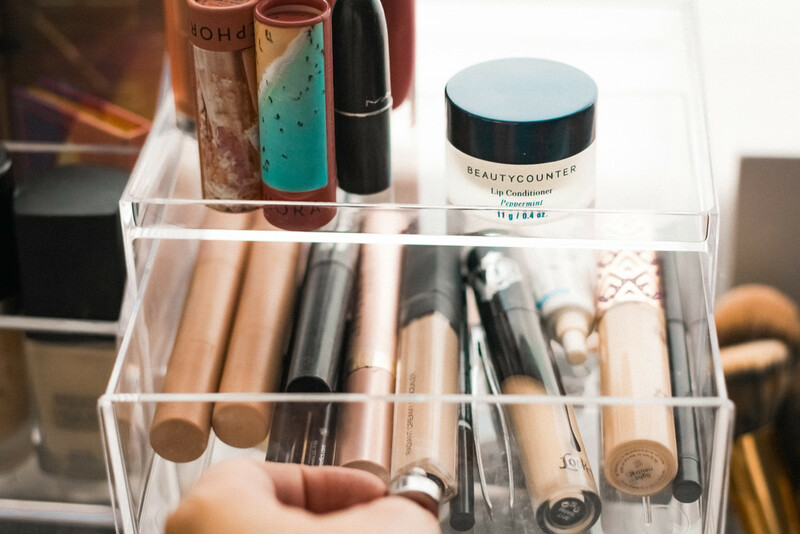 The Clarity Drawers are organized in the order I apply my makeup. And, each drawer is organized by product type. 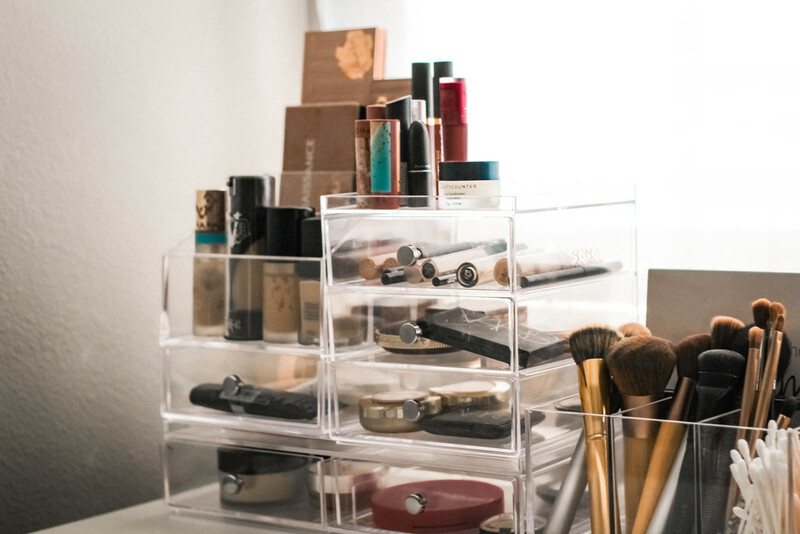 I use the Clarity 1-Drawer Stacking Cosmetic Organizer for my eyeshadow palettes, which is a key product in my makeup collection. 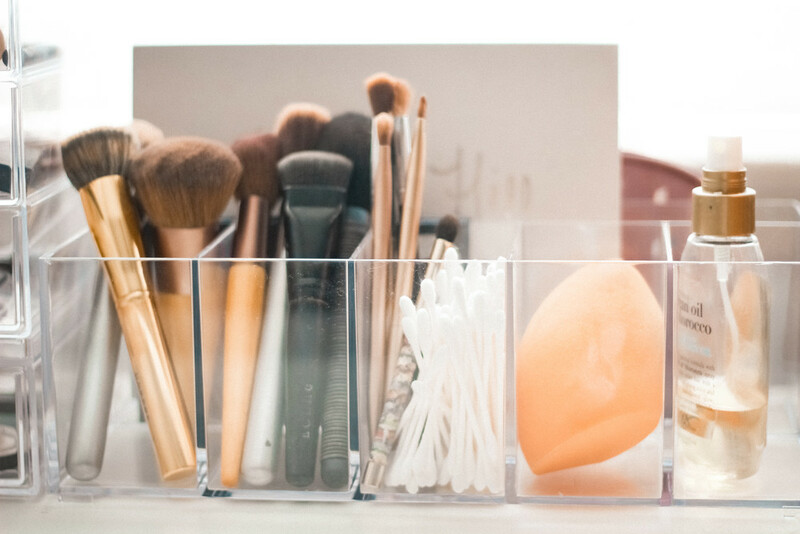 With the Clarity Cosmetic & Vanity Organizer, I can stand my makeup brushes up instead of cramming them into a makeup bag. Not only is it easier to access them, it keeps them a lot cleaner and invites less germs. 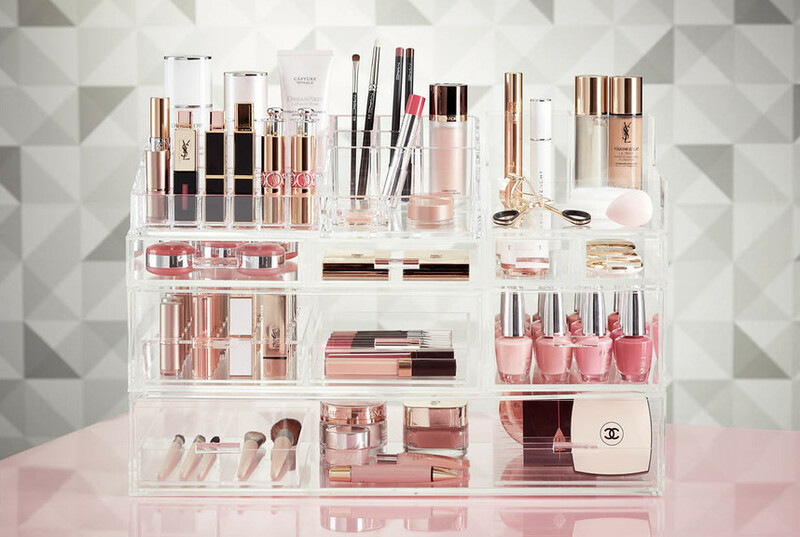 Ok, now, it's your turn to clean up and organize your makeup collection. Stay tuned for more "Let's Get Organized" posts every month on my blog and don't forget to follow me on Instagram!